Designed for deck mounted installations, the VS manual venting skylight enables any home to embrace the best of what nature has to offer. 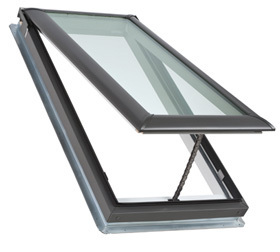 Opening for maximum fresh air, the manual venting skylight contributes to a home's proper moisture balance and comfort level by allowing stale, humid air to be released. Available as a deck and curb mount.